Thank you for your interest in joining AZ Roofing. 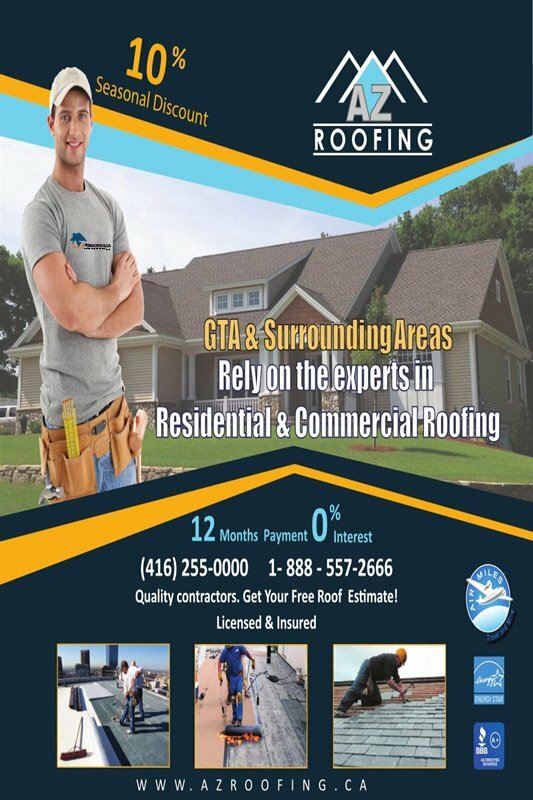 We are a certified Mississauga based roofing company with over 65 years experience in shingled roofing for residential and commercial applications and looking for talented and experienced flat roofers, shinglers, laborers and sales people. Shingle Roof, Metal Roof, Copper Roof, Cedar Roof, Slate Roof, PVC Roof, T.P.O Roofing, Tar & Gravel B.U.R, Torch Down Roof, EPDM Roofing, Eavestrough/Gutter, Fascia & Soffit. Roof Repair Services, Eavestrough Repair, Eavestrough Cleaning, Snow Removal & Ice Daming. Attic Ventilation Service, Skylight, Carpentry Services, Sheet Metal Work, Leaf Guards, Downspout Repair & Installation. AZ Roofing frequently has career openings for skilled, enthusiastic and motivated individuals to join our winning team. We are always looking for talented and experienced flat roofers, shinglers, laborers and sales people for both residential and commercial projects. If you think you have the required skills then we would like to hear from you, simply contact us. (1) Review our website to know more about us. You can easily send your resume by email or give us a call if there are any questions to be answered before you apply. Our contact information can be found here.